Easy to take and they dissolve easily. 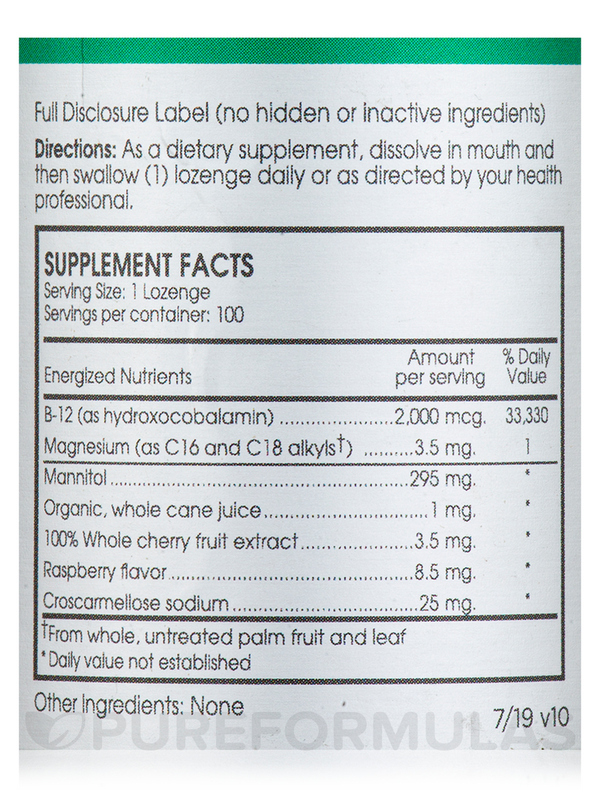 Activated B-12 Guard is a good form of B12. I love Activated B-12 Guard. Been taking it for 5 years. 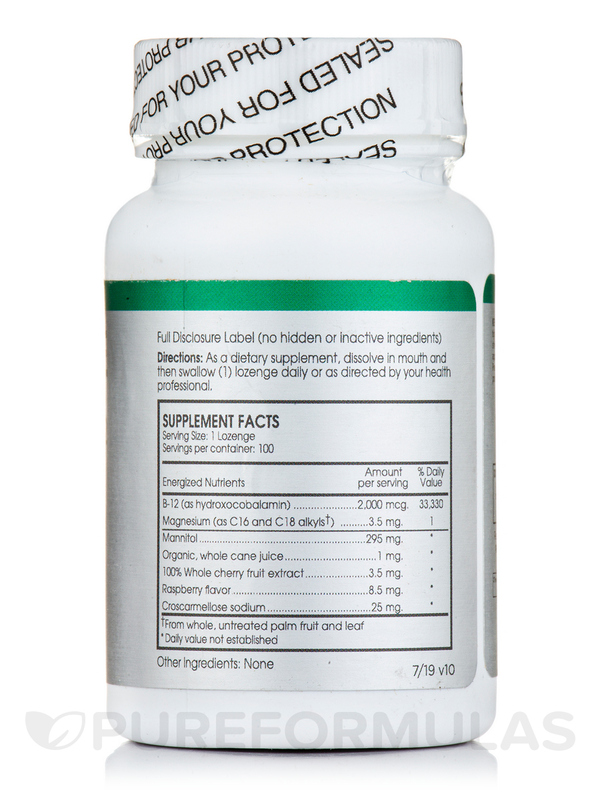 These activated B-12 lozenges by Perque deliver B-12 in its superior‚ hydroxocobalamin activated form. This form is superior because it has the highest half-life of any other form that has been shown to raise B-12 serum levels. Perque designed this product to help remove toxins from the body and improve brain and nerve cell function. B-12 supplementation can stimulate the way the body uses fats‚ proteins and carbohydrates‚ which can result in increased energy. Vitamin B12 is a water-soluble vitamin that can be found in various foods‚ including shellfish‚ eggs‚ meat and dairy products. It plays a vital role in DNA and protein synthesis. Nutritional deficiency is believed to be rare because the body stores several years’ worth of this vitamin in the liver; however‚ many people who have a B12 deficiency have trouble absorbing the vitamin. This is actually quite a common problem in the aging population. It is also of concern for those who have HIV or other immune deficiencies‚ and for those who do not eat meat and/or dairy (vegetarians and vegans). Truly‚ it is unknown exactly how common this deficiency is in the population‚ but it is well documented that adults over 65 years of age are more likely to be deficient than younger people. Vitamin B12 plays an important role in DNA synthesis and neurologic function. Deficiency can lead to a wide spectrum of hematologic and neuropsychiatric disorders that can often be reversed by early diagnosis and prompt treatment. If you only have a mild deficiency‚ you might not have any symptoms at all or they might be so mild that you won’t notice them. This is exactly why it is important to get a blood test to find out if you have appropriate levels of B12 in your blood. However‚ as the deficiency increases‚ you may begin to feel tired‚ weak and lightheaded. Your gums may bleed‚ and your tongue may be red and sore. You might often feel nauseous and you might start losing a good deal of weight. Others may notice your pale skin. You could begin to suffer from bowel-related problems like diarrhea or constipation‚ and you might feel sick to your stomach and lose weight. It is so crucial to maintain adequate levels of B12‚ as with the activated form in Perque’s B12‚ because advanced deficiency can cause even more severe problems. If you suffer from extremely low serum levels of vitamin B12‚ you might start to feel numbness and tingling in your extremities‚ a loss of coordination and motor skills‚ depression and eventually dementia‚ which can lead to a complete loss of mental abilities. Fortunately‚ it is easy to maintain adequate B12 levels with supplementation‚ so you can avoid any of these symptoms. If you have trouble absorbing B12‚ visit your doctor so he or she may closely monitor your levels during the course of supplementation. As a dietary supplement‚ take one (1) sublingual lozenge daily or as directed by your health professional. Place lozenge under tongue and let dissolve. Keep out of reach of children. Must be stored with cap on tightly in a cool‚ dry place. Bo not use product if the tamper-resist shrink band around the cap or the inner seal beneath the cap appears to have been tampered with or is missing. Activated B-12 Guard 2,000 mcg Sublingual by Perque is a great quality product. Dissolves quickly. Seems to be doing its job! 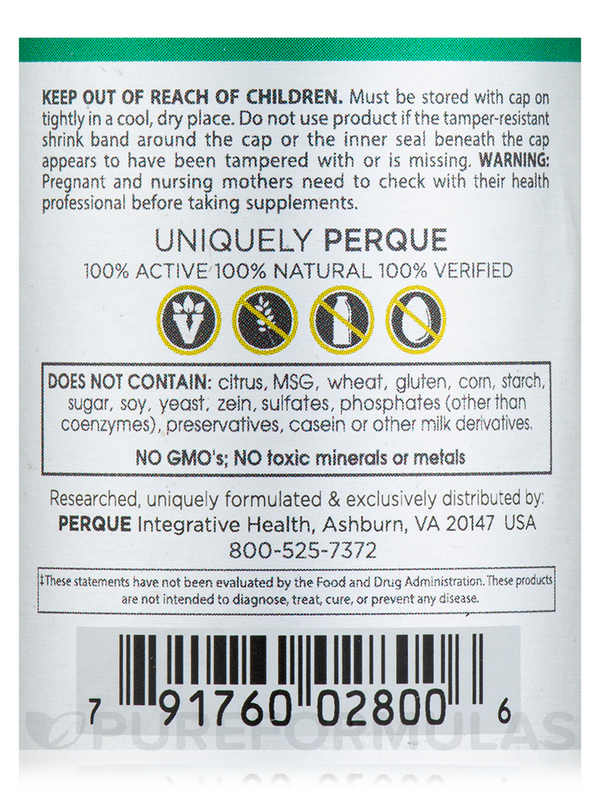 Activated B-12 Guard by Perque is better than most of the sublingual liquids I've purchased. The effects seem to be more noticeable than comparable products. I know Perque produces only the highest quality products. A little pricey, but you get what you pay for. I was so happy to find Activated B-12 Guard 2,000 mcg Sublingual by Perque that's the form I need and without the artificial flavorings/sweeteners and fillers that so many products have! My doctor recommended Activated B12 Guard by Perque is better for my body than the more commonly available forms, and PureFormulas was one of the few places I could find to purchase it! Good product, tastes good, dissolves quickly. 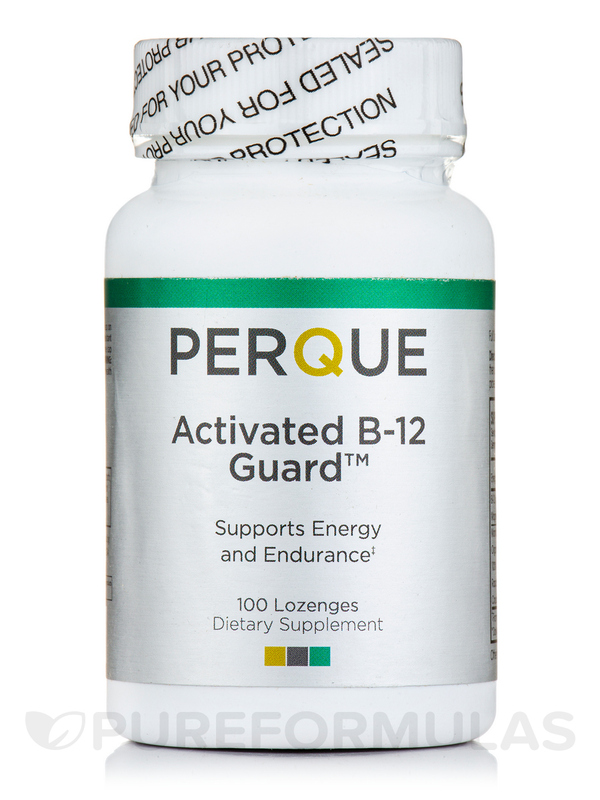 Activated B-12 Guard by Perque was recommended by my doctor as the best B-12! I have a B12 deficiency and Activated B12 Guard by Perque works well. I added a drop of folic acid on each pill before putting it under my tongue. Highly recommend. Blood results showed this product really works! It works and is easy to take. 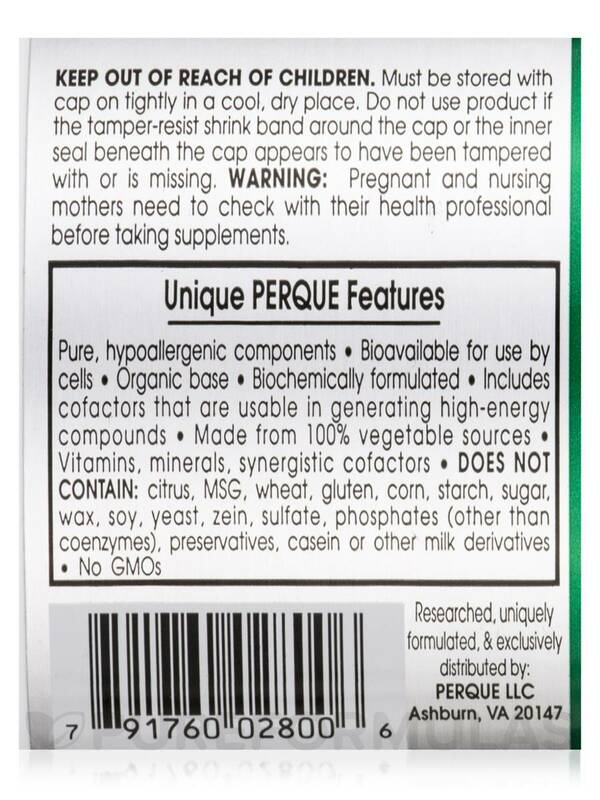 Perque Activated B-12 Guard-Good for me! 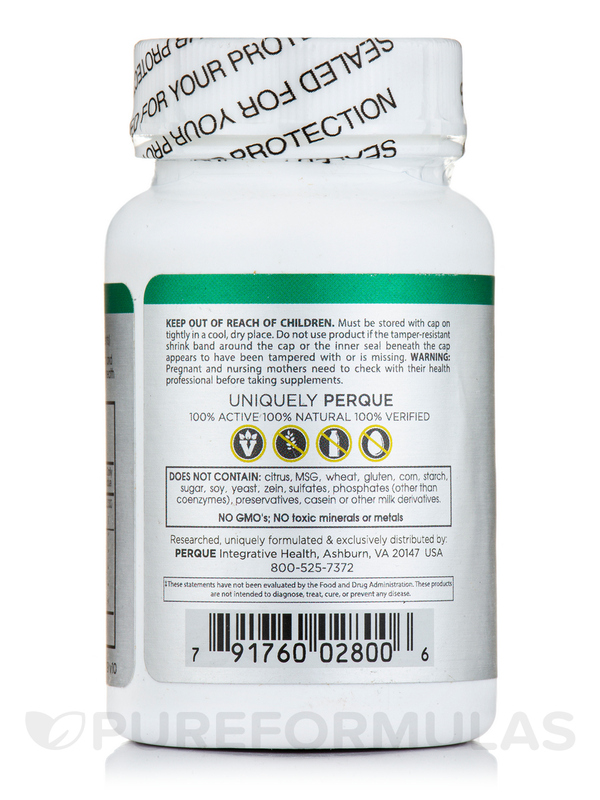 I ordered Activated B-12 Guard by Perque because I am undergoing chemo for lymphoma and I need something that would go down easier and dissolve to give me energy. I should have been taking these years ago. The effect is almost instant without that jarring sensation. I haven't found anything to dislike yet. My doctor prescribed this product. After taking it for a year......wait for it.....my white hair is turning silver and some of the dark color is coming back! I have read online that premature grey can be from a B12 deficiency and while that is not the reason he has me take them it is a wonderful &quot;side effect.&quot; Everyone has noticed my hair change and I have photos to prove it. I dont know if this will do that for you but there are other reasons to take it - it helps greatly with my energy! I have no problem with these supplements and I also look forward to taking them. My doctor had recommended for me to take these b12 vitamins. The brand that I had before had such a bad smell and I didnt like taking them. With the activated b-12 guard they have such a pleasant taste I dont forget to take them with no procrastination. Small pills great taste no after taste.